For several decades, the history of the European Court of Justice has been studied primarily by legal scholars and political scientists, but not by historians, who focused primarily on the political and economic history of the European Union (EU). That anomaly is starting to be rectified, with the emergence of what I call the New EU Legal History. In this paper, I review the arguments and the findings of this new historical research, asking what is new, what value-added insights have emerged about the early Court vis-à-vis existing political science and legal scholarship, as well as what is still missing, namely what important questions remain to be addressed by EU legal historians. The paper is organized in three parts. First, I provide a brief summary of some of the primary themes of recent political science scholarship on the ECJ, identifying four primary questions and debates from that literature: the nature and preferences of the Court, the independence of the Court vis-à-vis the member states, the Court’s relationship of the Court to national courts, and the “constitutionalization” of the treaties. Second, I look to the New EU Legal History, asking what genuinely new insights, if any, it has generated with respect to each of these four questions. I argue that EU legal historians have indeed challenged some widely held assumptions in the political science literature, and also help to adjudicate among long-standing, and competing, theories of judicial politics and European integration. In terms of the nature of the Court and its preferences, historians have challenged the complacent assumptions about the unity and the pro-integration preferences of the Court, showing us instead an early Court that was divided in its views and whose judges were far from consistently “constitutional” in their preferences. With respect to the independence of the Court, the early Court was willing to rule against the expressed will of powerful member states, counter to the predictions of a simple intergovernmentalist model, yet these same judges were more cautious, and more acutely aware of the potential for backlash, than a strong “trusteeship” image might imply. In terms of the Court’s relations with national courts, historical studies have reinforced the findings of recent political science scholarship, which finds numerous examples of consistent, sustained national-court resistance to the ECJ, whose reception in the member states’ legal orders was and remains an uneven “patchwork.” Finally, all of these findings taken together yield a picture of an ECJ whose constitutionalization of the treaties was indeed an act of agency, but a more contingent, and more contested, act than the heroic accounts of this period have suggested until now. The third and final section identifies a series of potentially interesting and important questions that remain underexplored by legal historians, and issue a plea for historians to engage these questions as well. We welcome panels and individual papers on any topic of interest to scholars of Criminal Justice/Legal History, especially those broadly connected to the overall conference theme, ”Organizing Powers”. We also encourage proposals for panels organized around recently published books. For more information on the meeting as well as the general call for proposals, please refer to the SSHA website: www.ssha.org. The deadline for submissions is February 15, 2013. Hale, "When Jim Crow Drank Coke"
Yesterday's New York Times included a fascinating op-ed piece by historian Grace Elizabeth Hale (University of Virginia). Her starting point is the NAACP's response to New York Mayor Michael R. Bloomberg’s restrictions on the size of sugary sodas. "This is more than a story of mutual back-scratching," Hale writes. "It is the latest episode in the long and often fractious history of soft drinks, prohibition laws and race." Read on here. The Haitian Revolution and its aftershocks had a profound impact on American constitutionalism. The six administrations from George Washington through John Quincy Adams responded to the slave revolt and establishment of Haitian independence in ways that greatly expanded executive power and changed the nation’s approach towards the law of nations. The Executive took effective control over the nation’s most important dimensions of foreign policy, creating and employing instruments of power that are used to this day. For the first time, presidents unilaterally provided funds and military equipment to a foreign belligerent, intervened in a foreign civil war, negotiated secret commercial, diplomatic and military agreements with a foreign nation and the leader of a rebellion, used military force abroad, expanded the treaty and recognition powers and, with the acquiescence of the Supreme Court, violated accepted doctrines of the law of nations. These actions formed a blueprint for executive dominance over foreign policy, war and international law. This forgotten history is essential for a contemporary understanding of the foundations of modern presidential power over foreign affairs and war. Many of the most controversial questions presidents face in the modern era — whether to support regime change, use military force to protect American interests abroad, intervene in civil wars, arm foreign rebellions, form secret agreements with governments or belligerents, adhere to the requirements of international law — were first faced in the American reactions to the Haitian Revolution. Those decisions set precedents for the expansion of executive power whose legacies still exert a deep if unrecognized influence today. This article also illuminates the relationship of slavery to American foreign policy in the early Republic. The near-universal abhorrence and fear of a slave revolt was a powerful force in executive foreign policy decisions. But two other factors also influenced presidents in dealing with the Haitian Revolution — trade and geopolitics. When these other forces overcame domestic pro-slavery demands, presidents supported blacks fighting for their freedom and helped to create independence from the crucible of a slave revolt. However, when these forces were aligned with, or at least did not conflict with, the existential threat of a permanently successful slave revolt, the determination to isolate or crush the Haitian Revolution prevailed. As Haiti lost its strategic and economic importance to the United States, a consensus developed in the executive, legislative and judicial branches that, in the legal contemplation of the American government, the nation of Haiti did not exist. Wednesday, January 30, 6-7:30 p.m. Historians Rebecca Scott (University of Michigan) and Jean Hébrard (Ecole des Hautes Etudes en Sciences Sociales, Paris) discuss their new book, Freedom Papers: An Atlantic Odyssey in the Age of Emancipation (Harvard University Press, 2012) in conversation with professors Christopher L. Brown (History, Columbia), Madeleine Dobie (French and Comparative Literature, Columbia), Eric Foner (History, Columbia) and Pierre Force (French and History, Columbia). Moderated by Emmanuelle Saada (French and History, Columbia). A historical tour de force combining micro-history and global history, Freedom Papers opens with the enslavement of Rosalie, a woman from Senegambia, and then traces her family’s quest, across five generations and two continents, for lives of dignity and equality. The story of Rosalie and her descendants unfolds against the background of three great antiracist struggles: the Haitian Revolution, the French Revolution of 1848, and the U.S. Civil War. President Obama's unprecedented endorsement of gay rights in his inauguration address last week–delivered on the Martin Luther King, Jr. holiday -- marks the beginning of a year when Americans will celebrate the 50th anniversary of so many groundbreaking events of 1963. . . . As the nation remembers these important milestones, it is important not to forget the work of a long-forgotten activist who emerged publicly that year to link civil rights to women's rights, and ultimately to her own closeted sexual identity. In doing so, an African American woman lawyer named Pauli Murray strongly criticized the leadership of the civil rights movement for excluding women as it was planning for the march that would bring 250,000 protesters to Washington that fall. More than any other individual, it is Murray who deserves credit for expanding the language of civil rights beyond the African American struggle for equality to women's rights, and ultimately to what she later called "human rights"– and for paving the way for a President of the United States to claim that it included gays and lesbians as well. In all of the law school courses I teach, I take at least a few minutes to sell the law students on the usefulness of history. One of my points is about the explanatory power of history: it helps us understand our current mix of statutes, common law doctrines, constitutional provisions, and so on. Here I make a comparison to economics, which pretty much all of them have had a taste of in their other classes. To put it very modestly, history belongs in their tool-kit, too; it may help solve puzzles that other tools can't. The other point, which I stole from a wonderful set of legal history lecture notes that Christopher Beauchamp (Brooklyn Law School) shared with me, is about history as a "road map for change." This is a pitch to any law student with hopes of making the law better, however he or she defines that term. By looking carefully at the successes and failures of would-be law reformers from the past, we may extract lessons about how to proceed in the future. One of Skocpol’s key insights is that health care reformers spent much of their time in the run-up to Obama’s election studying past legislative failures and seeing what they could learn from them. Environmentalists, meanwhile, assumed they could build on previous successes and continue attracting Republican support. As a result, the climate movement was utterly unprepared for the GOP’s sharp turn against cap-and-trade in 2008. Parenthetically, the report is part of a larger initiative called the Scholars Strategy Network (SSN), which, according to the SSN mission statement, "brings together many of America's leading scholars to address pressing public challenges at the national, state, and local levels." (Skocpol is at the helm, along with Suzanne Mettler, Jacob Hacker, and others.) I have heard Skocpol speak about SSN, and although the current roster of scholars draws heavily from political science, sociology, and public policy, she encouraged historians to get involved, too. The paper locates the struggle to mobilize and regulate the immense social and cultural power inherent in X-rays’ capacity to remotely anatomize the living body power within the discursive space of the turn-of-the-century American courtroom. The paper pioneers use of extant court records in the seminal case of Smith v. Grant, the first American medical malpractice case in which an injured plaintiff successfully introduced X-ray evidence against a physician. The paper demonstrates how X-ray images catalyzed crucial changes in the American law of scientific and medical evidence and facilitated a novel regime for their regulation that continues to reverberate in the present. The Milwaukee Brewers have their Sausage Race; the Washington Nationals, their racing presidents. Last season, Theodore ("Don't call me Teddy") Roosevelt was finally permitted to win a race, opening the way for a new storyline. The Nationals have made an unexpected move to the presidential bullpen: William Howard Taft joins the "Rushmore Four" next season. How long until Opening Day? 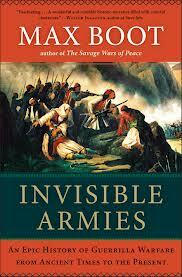 In the New York Times this week, Mark Mazower reviews Max Boot's Invisible Armies: An Epic History of Guerrilla Warfare from Ancient Times to the Present (Liveright). "We get the story of guerrilla warfare, and also an account of how soldiers have tried to combat it" Mazower writes, "and then, mostly at a tangent to the other two, there is the history of terrorism." You'll find several other reviews on books about war and the U.S. military this week: The Wall Street Journal has a review of Zumwalt: The Life and Times of Admiral Elmo Russell "Bud" Zumwalt Jr (Harper) by Larry Berman. The New York Times has a review of Fred Kaplan's The Insurgents: David Patraeus and the Plot to Change the American Way of War (Simon & Schuster). 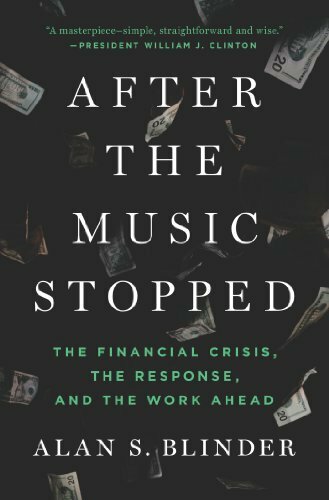 The Washington Post (here), the LA Times (here), and TNR: The Book (here) have reviews of Alan Blinder's After the Music Stopped: The Financial Crisis, The Response, and the Work Ahead (Penguin). Other reviews of interest this week: Hector Tobar reviews Joshua Bloom and Waldo E. Martin Jr's Black Against Empire: The History and Politics of the Black Panther Party (University of California). And, in the New York Times, Candice Millard reviews Edward Ball's The Inventor and the Tycoon: A Gilded Age Murder and the Birth of Moving Pictures (Doubleday). The Colloquium on War and Security in Law, Culture and Society at Emory University School of Law launches this coming Monday. It is one component of Mary Dudziak's larger Project on War and Security in Law, Culture and Society. According to the new website, "[t]he project aspires to unite scholars in law, political science, human rights and history — as well as other academic disciplines at Emory — to examine issues surrounding war from a larger perspective." Read on here. The Penn Legal History Consortium is jointly sponsored by the Law School and the Graduate History Department at the University of Pennsylvania. Faculty affiliates include Sarah Barringer Gordon, Thomas Sugrue, Mary Frances Berry, Serena Mayeri, and Sophia Lee. Pasquale and Vaidhyanathan, "Borking Antitrust"
Frassetto, "Firearms and Weapons Legislation up to the Early 20th Century"
This research provides a comprehensive view of firearm and weapons regulations during this era. This document was created in an attempt to understand the historic scope of the Second Amendment in the wake of the Supreme Court's Heller and McDonald decisions. Relevant legislation is categorized by type as well as historical era. Sources are divided into four historical periods: (1) English, which includes English statutes up to the split with the American colonies in 1776; (2) Colonial, which includes statutes passed within the American colonies beginning in 1607 and continuing to the ratification of the Constitution in 1791; (3) Pre-14th Amendment; and (4) Post-14th Amendment. The piece begins with the development of land use coordination mechanisms in England, the London Assize of Buildings and the common law Assize of Nuisance. It then examines two common law absolute exceptions to nuisance, the exception for harms caused by competition established in 1410 and the exception for harms caused by wild animals established in 1596. The history of common law nuisance and its exceptions challenges the transactions cost analysis of the common law offered by Coase in "The Problem of Social Cost." Health, safety, and environmental regulation in the United States are saturated with risk thinking. It was not always so, and it may not be so in the future. But today, the formal, quantitative approach to risk provides much of the basis for regulation in these fields, a development that seems quite natural, even necessary. This particular approach, while it drew on conceptual and technical developments that had been underway for decades, achieved prominence during a relatively short timeframe; roughly, between the mid-1970s and the early 1980s — a time of hard looks and regulatory reform. Prior to this time, formal conceptions of risk were rarely invoked in the effort to regulate the increasingly complex set of hazards associated with industrial society and quantitative risk assessment was considered too uncertain to serve as a basis for regulatory decision making. With few exceptions, safety, hazard, and endangerment provided the dominant framings, drawing on different conceptual and normative tendencies and leading to different regulatory outcomes. This Article investigates the emergence and development of formal approaches to risk in health, safety, and environmental law during the twentieth century. It focuses specifically on the concepts, tools, and practices that have underwritten risk thinking in these fields, developing a perspective on health, safety, and environmental regulation that seeks to historicize risk and situate the contemporary debate regarding the merits of risk versus precaution in its proper historical context. In doing so, the Article demonstrates how both approaches struggled to address the much more vast and complicated world of potential environmental harm brought into view as a result of substantial advances in analytical techniques during the 1960s and early 1970s, thereby revealing the contours of a more fundamental clash over environmental law’s distinctive problem of knowledge. The Article covers the formative period from the New Deal through the 1970s, showing how efforts to operationalize safety in the middle decades of the twentieth century led to many of the foundational concepts and techniques that would structure risk thinking in subsequent decades, highlighting the critical role of analytical advances in pushing toward a re-definition of safety as acceptable risk and a corresponding move toward quantitative risk assessment, and revealing how earlier precautionary impulses were ultimately subsumed under an emerging administrative law of risk. What were Lincoln's motives in deciding for general emancipation? The emancipation itself changed the nature of the war. It reflected a fundamental change in Lincoln's own thinking about the relationship of slavery to the war as well as the future place of black people in American life. The point is not that Lincoln freed four million slaves with a stroke of the pen, but that the Proclamation was a key moment in the complex and prolonged historical process that led to the end of slavery in the United States, with consequences to the present. The seminar will be held at the Woodrow Wilson Center, 6th Floor Moynihan Boardroom, in the Ronald Reagan Building, in Washington, D.C. Reservations are requested because of limited seating: HAPP@wilsoncenter.org or 202-691-4166. A photo is ID required for admittance to the building. 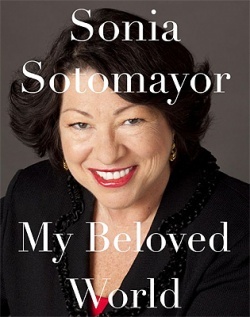 More this week on Justice Sotomayor's My Beloved World (Knopf): In the LA Times, Hector Tobar writes that "It's a book explicitly intended to address her newfound role as a Latina role model. From her story of family and community strength and dysfunction, a worthy Latino addition to the pantheon of mythic American civi stories emerges." In the Wall Street Journal Carla Main writes, "My Beloved World is filled with inspiring, and surprisingly candid, stories about how the Supreme Court's first Hispanic justice overcame a troubled childhood to attend Princeton and Yale Law School, eventually earning a seat on the nation's highest court. But readers hoping to gain insight from the book into how Ms. Sotomayor might rule in key cases will have to dig deep for hints of her legal philosophy." And according to Emily Bazelon in her review in the New York Times, "This is a woman who knows where she comes from and has the force to bring you there." Also making the rounds this week, Lawrence Wright's Going Clear: Scientology, Hollywood, and the Prison of Belief (Knopf) is reviewed in the New York Times (here), the LA Times (here), and the Washington Post (here). In the LA Times, Tony Perry reviews Fred Kaplan's The Insurgents: David Patraeus and the Plot to Change the American Way of War (Simon & Schuster). And in the New York Times, a review of Peter Ackroyd's Foundation: The History of England From Its Earliest Beginnings to the Tudors (Thomas Dunne/St. Martin's). At TNR: The Book this week, you'll find a review of Becoming Right: How Campuses Shape Young Conservatives (Princeton) by Amy J. Binder and Kate Wood, a review of Charles Wheelan's Naked Statistics: Stripping the Dread from the Data (Norton), and a review of Bill Streever's Heat: Adventures in the World's Fiery Places (Little, Brown and Company). The first three parts of the essay describe the evolution of Italian administrative law, from the foundation of the unitary state, in the second half of the 19th century, to the present time. The fourth part is devoted to the analysis of some general features of administrative law today, especially focusing on its “criterion,” i.e. its borders and its distinction from other provinces of law. In the 19th century both the unitary State and the administrative law were born and developed in Italy. The features of the latter were strongly influenced by the unification process and by political events. In the first half of the 20th century administrative law underwent major developments involving the range of administrative tasks, the size of administrations, their organization and their relations with citizens. Administrative law was still affected by political developments and displayed its authoritarian facet. In the second half of the century, many trends which had begun in the former period continued and some of the problems which had arisen in the first half of the century grew more serious. The institutional context, however, was very different. The principles of the democratic Constitution gradually changed the shape of administrative law, which came to display its liberal facet. At the beginning of the 21st century, the problems of delimiting administrative law may be traced to three main profiles: that of the distinction from private law; that of the correspondence between administrative law and administrative justice and, therefore, of the apportioning of jurisdiction; that of placement within the sphere of public law. From noncuratlex.com: Law Faculty Salaries circa 1940. We recently mentioned the upcoming conference on "Liberty/Equality: The View from Roe’s 40th and Lawrence’s 10th Anniversaries." By way of preview, participants have been posting at Balkinization. Scroll through to read commentary from Cary Franklin, Ariela Dubler, Linda Greenhouse, Reva Siegel, Robert Post, and others. The David Library of the American Revolution welcomes the use of its collection via short-term Resident Research Fellowships. The Massachusetts Historical Society and the Boston Athenaeum will soon be considering applications for the Suzanne and Caleb Loring Fellowship on the Civil War, Its Origins, and Consequence. The Departments of History and Political Science at Johns Hopkins University invite "scholars of the world of colonial America and the early republic" to apply for the position of Patrick Henry Scholar, a two-year postdoctoral fellowship. Archival sources that have become available in recent years deepen our understanding of the controversy that surrounded the nomination in 1930 of Sir Isaac Isaacs as the first Australian-born Governor-General of the Commonwealth of Australia. A chorus of elite Australian lawyers told King George V and the public that the appointment of Isaacs on the advice of the Australian Prime Minister would be invalid under the Australian Constitution. Their views, and those of other critics, were relayed by State Governors and the outgoing Governor-General, who added comments revealing their anti-Semitic hostility to Isaacs and their determination to oppose the appointment regardless of the views of the governments that advised them. For these lawyers, the imperial connection pervaded the Constitution, and only constitutional amendment could enable Australian ministers to become advisers of the King. 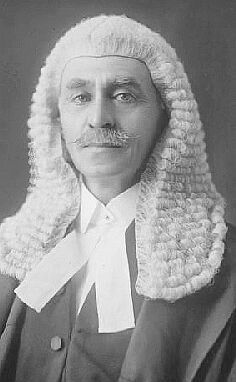 The nomination in 1930 of an Australian, Sir Isaac Isaacs, as Governor-General of the Commonwealth of Australia has become a minor landmark in the development of Australian independence. Opposed or supported at the time as a measure of the strength of Australia's links with Britain, the appointment has become, for lawyers and historians alike, a test-case for Australian autonomy and the countervailing cultural and legal force of the imperial connection. The United Kingdom Dominions Office file covering the first phase of the negotiations was released in 1981; the subsequent file on the final phase of the negotiations was opened only in 2004, and it is now possible to consult the extensive records on the appointment deposited in the Royal Archives. These various records are the last, and most important, parts of the official British paper trail of the appointment. They trace the evolution of King George V's attitude and suggest how and why (contrary to his own wishes and against strong and persistent recommendations from some of his advisers) he accepted Isaacs as Governor-General. While Isaacs would not have become Governor-General without the refusal of Australian Prime Minister James Scullin and his cabinet to back down, it was not Scullin who persuaded the King to give in, but instead private advisors who operated largely outside the framework of cabinet government. In this as in other ways, the growth of Australian independence was a complex negotiation that involved British concessions in ways that were opaque even to some of the agents of change themselves. The website--an absolute treasure--also contains audio recordings of addresses by many other historically significant figures. You can hear Barry Goldwater discuss "The First Hundred Days," (1961), Cesar Chavez consider “The New Grape Boycott — Will it Work in the Eighties?” (1985), Edwin Meese III lecture on “Freedom, Free Speech and the Courts” (1992) or Charlton Heston speak on “Winning the Cultural War” (1999). Other fascinating recordings feature panel discussions such as “Women – Dare We Not Discriminate?” (1966), which included Betty Friedan, Mary I. Bunting, and Pauli Murray. All told, the site is a terrific resource for researchers. This chapter offers a twofold shift in the application of the ‘credible commitment’ concept laid down by North and Weingast in their classic 1989 article. It examines the concept in the context of charter-granting, rather than in that of the national debt and the government bond market, and applies the concept to the pre-Civil War period, rather than the post-Glorious Revolution period. The chapter focuses on charters for the incorporation of business corporations. At a basic level the puzzle is: if the state could not credibly commit to enforce or not to annual charters why were incorporators willing to pay for the charters and accompanying privileges? 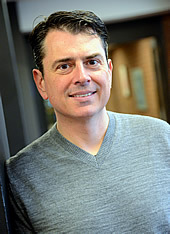 The chapter examines multiple mechanisms that could have succeeded in solving the commitment problem: reputation, type of charter activity and its organizational form, the law and judiciary, the extent of parliamentary or common law restraint on the sovereign and interest groups organizing to discourage default. Four case studies demonstrate how each of these mechanisms functioned. This chapter shows the usefulness of the ‘credible commitment’ framework. A nascent rule of law, unavailable elsewhere in Europe, explains the widespread use of charters and corporations in late Tudor and early Stuart England. This essay recites the history of the Polley v. Ratcliff litigation and interrogates its relevance for modern considerations of racial inequality in America. The Polley case began in 1850s with the wrongful kidnapping of the children of Mr. Peyton Polley, an emancipated African slave who lived in Ohio. The litigation continued from 1851 to 1859 without clear resolution. Although this incident has been discussed at length by historians, the litigation itself came to a remarkable conclusion on April 6, 2012. On that day, some 162 years after this Dred Scott-era kidnapping, Judge Darrell Pratt of the Circuit Court of Wayne County, West Virginia, entered a decree declaring that Mr. Polley wrongfully kidnapped children — Harrison, Louisa, and Anna — “were, and are, FREE PERSONS as of March 22, 1859." This declaration represented a monumental historical moment in West Virginia history, and it represents, as this essay will argue, an opportunity to consider the question of what our societal response to slavery and racism has been over time and what it ought to be in the twenty-first century. The essay considers the various modes through which Americans look at the history of slavery and race-race consciousness, racial reparations, and post racialism — and then it argues that the Polley litigation represents a different model for considering the American history of race, a model akin to truth and reconciliation. This chapter, which necessarily looks back to the nineteenth century, attempts to give a sense of the role of New Zealand lawyers in the reform of the law. They participate as Judges, as legislators (especially as ministers of the Crown), as academics, as members of the profession, as concerned public citizens, and as representatives of and advisors to government. That advisory role may be from within, as members of the relevant ministries and departments, or from without, as members of official law reform and comparable bodies set up by government or Parliament. This chapter emphasizes that external advisory role, particularly the work of the New Zealand Law Commission and its predecessors. The author also gives some attention, especially in the first part of the chapter, to officials and members of the practicing profession, whose contributions are also critical. Three new SSRN posts document exchanges by Seth Barrett Tillman, National University of Ireland Maynooth, with legal scholars on various constitutional issues on originalist grounds: with Michael C. Dorf on Dual Office-Holding, Michael D. Ramsey on the Unitary Executive, and Michael L. Stern on the Foreign Emoluments Clause. Here's the table of contents to the first issue of volume 53 of the American Journal of Legal History. The volume itself will be published soon. William G. Ross, "Constitutional Issues Involving the Controversy Over American Membership in the League of Nations, 1918-1920"
Simon Middleton, "Legal Change, Economic Culture, and Imperial Authority in New Amsterdam and Early New York City"
Kristin A. Olbertson, "Religion and Rights in Nineteenth-Century American Law: Reflections on the Work of Elizabeth B. Clark"
Marybeth Herald and Sandra Rierson, "'I Mean to Succeed': Clara Foltz and the Reinvention of Self"
Pauline Maier's review of Alfred F. Young, Gary B. Nash, and Ray Raphael, eds., Revolutionary Founders: Rebels, Radicals, and Reformers in the Making of the Nation (Alfred A. Knopf, 2011). Margaret Abruzzo's review of Susan J. Pearson, The Rights of the Defenseless: Protecting Animals and Children in Gilded Age America (University of Chicago Press, 2011). 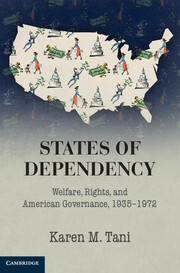 Robert H. Zieger's review of Tracy Roof, American Labor, Congress, and the Welfare State, 1935–2010 (Johns Hopkins University Press, 201). Johanna Schoen's review of Sara Dubow, Ourselves Unborn: A History of the Fetus in Modern America (Oxford University Press, 2011). Charles L. Zelden's review of Kevin J. McMahon, Nixon’s Court: His Challenge to Judicial Liberalism and Its Political Consequences (University Press of Chicago, 2011). Maribel Morey's "Reconsideration of An American Dilemma." Collins on Floyd Abrams's "Nuanced Absolutism"
In Nuanced Absolutism, First Amendment scholar Ronald Collins identifies, explains, and analyzes key aspects of the legal thought of America’s most noted contemporary First Amendment lawyer, Floyd Abrams–a man who has had a profound impact on the law of free speech. In the process of discussing Abrams’s work, the reader is introduced to “nuanced absolutism,” a way of thinking about the First Amendment. Nuanced absolutism describes a tenet of existing First Amendment law that has emerged over the years and which has taken on new life in the decisional law of the Roberts Court. 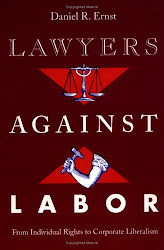 Before it was judge-made law, it was a brand of law argued by lawyers, most notably Floyd Abrams. 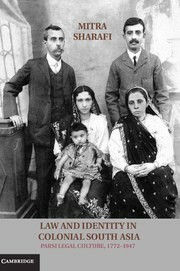 One of the author’s aims is to remind readers of the role played by lawyers in shaping our law, especially our supreme law. By way of an intellectual history and biographical approach to his subject, Collins explains how Abrams’s nuanced absolutism operates in the context of some of the appellate cases he has litigated, the causes he has defended, and the positions he has taken in public. In short, the work is a biographical sketch and case study of one man’s life in the law, the law of the First Amendment. The table of contents is here. Update: Collins will be discussing his book at the Yale Law School on January 29. More information here. We have news of an SSRC fellowship, Public Finance and Society: The New Historical Fiscal Sociology. It is open only to doctoral students based at universities within the United States. The spring workshop dates are May 29-June 2, 2013 in Chaska, Minnesota; the fall worskhop dates are September 18-22, 2013 in Cambridge, Massachusetts. The history of public finance is a story about change over time, a tale punctuated by wars, social movements, and revolutions. Yet much of the existing scholarly literature neglects the broader context that has given meaning to fiscal policies. The new historical fiscal sociology is an emerging interdisciplinary field that investigates the relationship between public finance and society. In doing so, it restores the importance of historical and social context to the study of taxation, public debt, and state spending. Scholars in this field pose broad historical and comparative questions about the origins and development of fiscal policies. They also ask about the consequences of these policies for political, social, and cultural life. Taxation is a central institution in modern society. Instead of asking how a particular tax law or policy affects prices and quantities in a particular market, we can also ask such consequential questions as these: How did a particular tax policy develop in the first place? How does the choice of fiscal policy affect notions of citizenship and social solidarity, and vice versa? What is the relationship between tax policy and cultural understandings of gender? How does sovereign debt affect the likelihood of regime stability? What are the cultural conditions that promote greater tax compliance and hence increased public trust in the state? What does taxation have to do with the development of democracy in particular times and places? Field Directors:Ajay K. Mehrotra, Professor, Indiana University Bloomington, Law and History; Isaac William Martin, Associate Professor, University of California, San Diego, Sociology. Winona State University Department of History invites applications for a tenure-track position with a primary specialization in U.S. Legal and Constitutional History. The Department seeks to build on existing strengths in its History and Law and Society programs, and to strengthen its ABA-accredited 4-year Paralegal Program. The Department is also interested in expanding offerings in the areas of Environmental History and Comparative/Transnational History. The department is looking for prospective colleagues with a Ph.D. in U.S. History or American Studies (by date of hire), demonstrated excellence in teaching and scholarship. In addition, the successful candidate will demonstrate an interest in paralegal education and pre-law advising, and will eventually direct the Paralegal Program. Rubin, "The Unintended Consequences of Penal Reform"
What were the consequences of penal transportation to the New World for eighteenth-century British criminal justice? Transportation has been described by scholars as either a replacement of the death penalty responsible for its decline, or a penal innovation responsible for punishing a multitude of people more severely than they would have been punished before. Using data from the Old Bailey Sessions Papers and the Parliamentary Papers, this study examines sentencing and execution trends in eighteenth-century London. It takes advantage of the natural experiment provided by the passage of the 1718 Transportation Act that made transportation available as a penal sentence, thus enabling one to assess the “effect” of transportation on penal trends. This study finds that the primary consequence of the adoption of transportation was to make the criminal justice net more dense by subjecting people to a more intense punishment. While it was also associated with a small decline in capital sentences for some types of offenders, the adoption of transportation was also associated with an increase in the rate at which condemned inmates were executed. The study closes with a discussion of the conditions that may lead to law's unintended consequences, including the mesh-thinning consequences observed here. Subscribers may access the full article here. Crime fascinates us and the public consumption of crime narratives has existed for centuries, from the dissemination of crime broadsides in the eighteenth century to today’s true crime television shows such as 48 Hours. 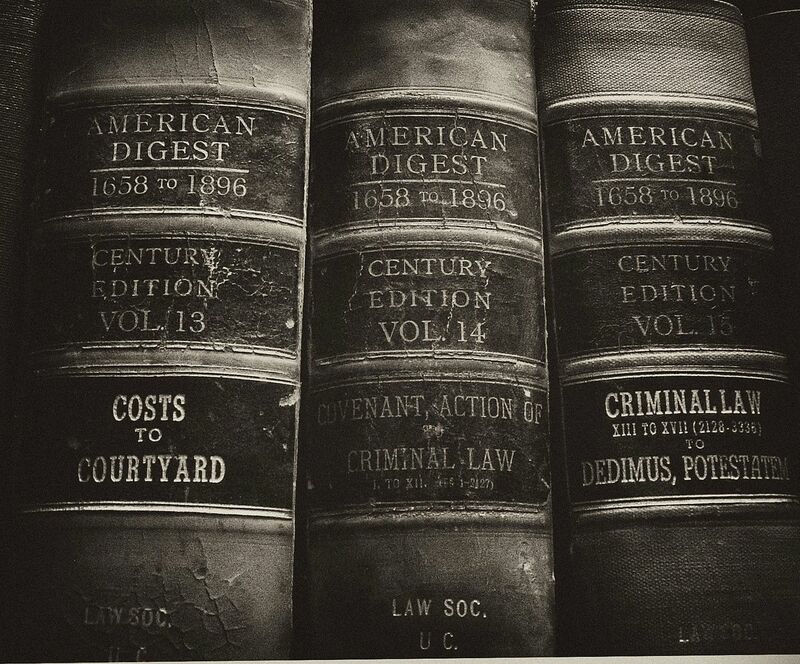 Featuring materials from the Harvard Law School Library’s Historical & Special Collections, this exhibit examines a short chapter in the United States’ history of true crime narratives. Topics include: serialized true crime literature, crime photography in newspapers, and the representation of family life in the media’s coverage of the Sacco and Vanzetti case. Find early reviews in the Boston Globe and the Washington Post; also see NPR's coverage here. Influenced by the U.S. Declaration of Independence, the authors of the French Declaration of the Rights of Man and Citizen (1789) proposed a new era of greater transparency. Not only one of the founding documents on human and civil rights, the Declaration also insisted that “public agents” give “an accounting of their administration,” with open paperwork...Almost immediately, however, this ideal was challenged. 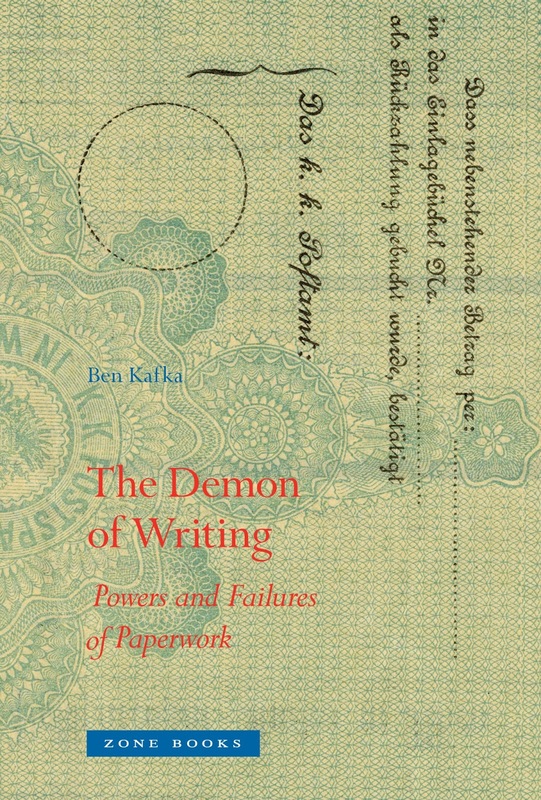 Kafka shows how the quest for political liberty (and pure power) butted heads with bureaucratic nightmare. 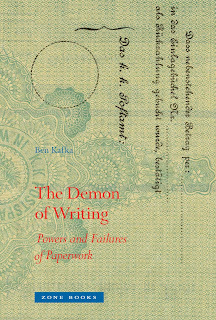 Also at TNR: The Book, Adam Kirsch reviews Wolfgang Koeppen's Journey Through America (Berghahn Books). 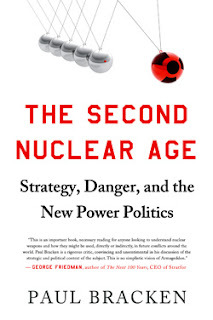 In the New York Times Bill Keller reviews three books about nuclear weapons: Ward Wilson's Five Myths About Nuclear Weapons (Houghton Mifflin), Paul Bracken's The Second Nuclear Age: Strategy, Danger, and the New Power Politics (Times Books), and David Patrikarakos's Nuclear Iran: The Birth of an Atomic State (Tauris). The Wall Street Journal this week has a review of Nathan Lean's The Islamophobia Industry: How the Right Manufactures Fear of Muslims (Pluto), Leon Aron reviews Vladimir Tismaneanu's The Devil in History: Communism, Fascism, and Some Lessons of the Twentieth Century (California), and James Kelly reviews Five Lieutenants: The Heartbreaking Story of Five Harvard Men Who Led America to Victory in World War I (St. Martin's). There are more reviews of Jared Diamond's The World Until Yesterday: What Can We Learn From Traditional Societies? (Viking): one by David Brooks for the New York Times (here) and one by David Ulin for the LA Times (here). And in the lead up to the inauguration, the Washington Post has "prepared an eclectic mix of books to help introduce the capital." You can find the list here. The Law Librarians of the Library of Congress want you to know about their Soviet legal resources. Learn more here, at In Custodia Legis. From January 24-26, the University of Texas Law School will host a symposium titled "Is America Governable?" The final schedule, which includes Sandy Levinson, Jack Rakove, Steven Skowronek, and many others, is available here, at Balkinization. Gates on "40 Acres and a Mule"
We've all heard the story of the "40 acres and a mule" promise to former slaves. It's a staple of black history lessons, and it's the name of Spike Lee's film company. The promise was the first systematic attempt to provide a form of reparations to newly freed slaves, and it was astonishingly radical for its time, proto-socialist in its implications. In fact, such a policy would be radical in any country today: the federal government's massive confiscation of private property -- some 400,000 acres -- formerly owned by Confederate land owners, and its methodical redistribution to former black slaves. What most of us haven't heard is that the idea really was generated by black leaders themselves. The editors of Law & Social Inquiry are pleased to announce our annual competition for the best journal-length paper in the field of sociolegal studies written by a graduate or law student. Law & Social Inquiry publishes empirical and theoretical studies of sociolegal processes from a variety of disciplinary perspectives. Entries will be accepted starting January 1, 2013 and must be received by March 1, 2013. LSI invites direct submissions from graduate and law students and nominations of student work from faculty. The author must be a graduate student or law student at the time the paper was written and when submitted. Faculty nominations should include a short description along with the paper, and contact details for the student. The winning paper will be published in Law & Social Inquiry and the author(s) will receive a total cash prize of $500 (US). Submissions will be judged by the editors. The winning submission will be sent to selected scholars for advisory reviews to aid with revisions prior to publication. 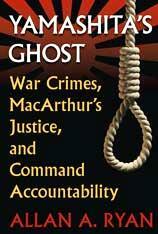 Morison Reviews Ryan's "Yamashita's Ghost"
Samuel T. Morison, Office of the Chief Defense Counsel, U.S. Department of Defense, has posted this review of Allan A. Ryan’s Yamashita’s Ghost: War Crimes, MacArthur’s Justice, and Command Accountability (University Press of Kansas, 2012), which is forthcoming in Law and Politics Book Review (January 2013). Conference: "Liberty/Equality: The View from Roe’s 40th and Lawrence’s 10th Anniversaries"
Readers may be interested in this upcoming conference at UCLA School of Law: Liberty/Equality: The View from Roe’s 40th and Lawrence’s 10th Anniversaries, January 18-19, 2013. The conference is part of the Constitution in 2020 project and is co-sponsored by the American Constitutional Society, UCLA School of Law, the Williams Institute, the Yale Information Society Project, and the Program for the Study of Reproductive Justice. Panel I – Sexual Freedom, 9 a.m. – 10:45 a.m.
Panel II – Constitutional Frameworks, 11 a.m. – 12:45 p.m.
Panel III – Social Movements, 2:30 p.m. – 4:15 p.m.
Panel IV – Religious Liberty/Conscience, 4:30 p.m. – 6:15 p.m.
Panel V – Families, 9 a.m. – 10:45 a.m.
Panel VI – Information, 11 a.m. – 12:45 p.m. In advance of the conference, participants will also be posting commentary here, at Balkinization. Follow the link to register. Dudziak reviews Mazower, "Governing the World"
If You're at AALS or AHA on January 5. . .